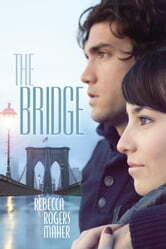 Henry meets Christa on the west tower of the Brooklyn Bridge, just as they're both about to jump off and kill themselves. Despite his paralyzing depression--and her panic over a second bout of cancer--they can't go through with their plans knowing that the other is going to die. So they make a pact--they'll stay alive for 24 hours, and try to convince each other to live. From the Staten Island Ferry to Chinatown to the Museum of Modern Art--Henry and Christa embark on a New York City odyssey that exposes the darkest moments of their lives. Is it too late for them? Or will love give them the courage to face the terrifying possibility of hope?